Join us Thursday Jan 21st for our first guest party of the year! 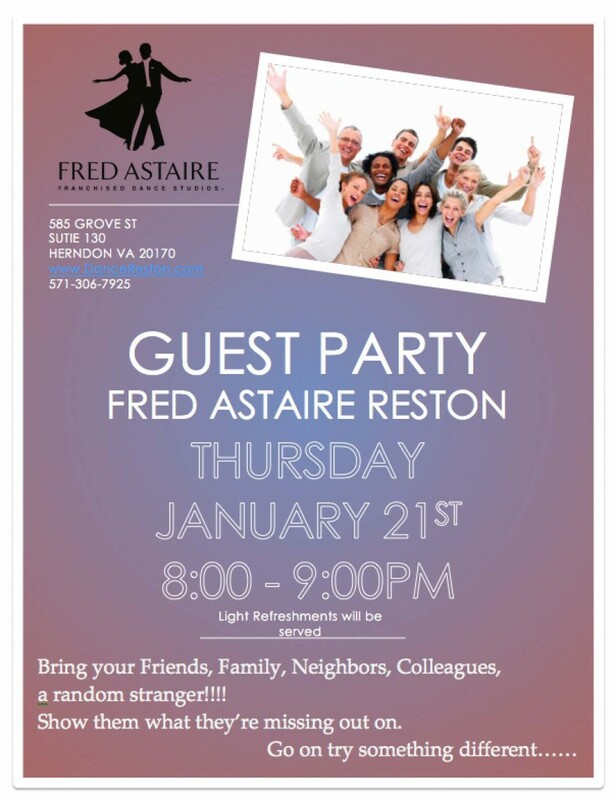 See what Fred Astaire Reston is all about and start your year dancing, and having fun. Plus Dancing is a great way to stay in shape! Stop by and see us. We’ll be waiting!